The Startup folder has been in Windows since its beginning. It allows the users to select applications to automatically launch during the Windows initiation process. 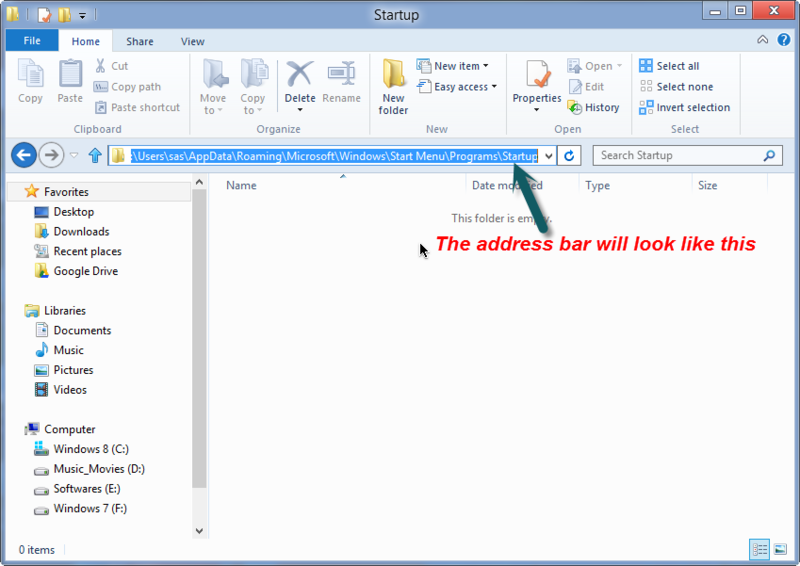 However, in Windows 8 finding and using the Startup folder quite difficult. 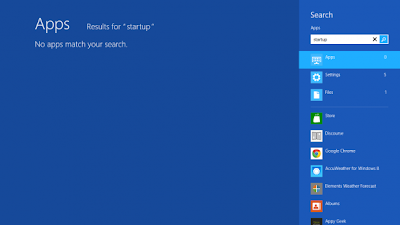 If you search for “Startup” from the Start screen in Windows 8, you will not find the folder in the search result. 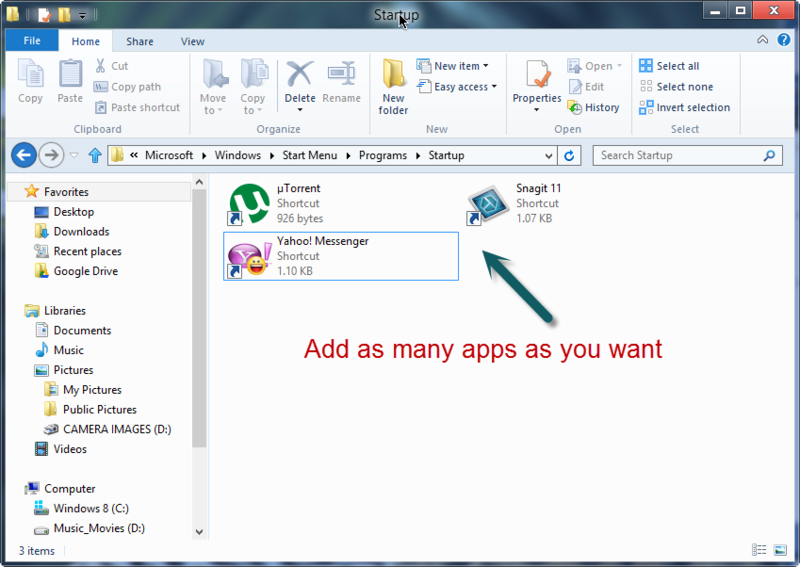 The Startup folder is well hidden from tweaks and manipulation in Windows 8. 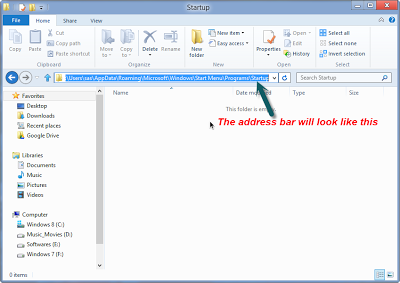 Here is the procedure you can follow to add any application to the Startup folder under Windows 8. First of all launch the Run dialog box. 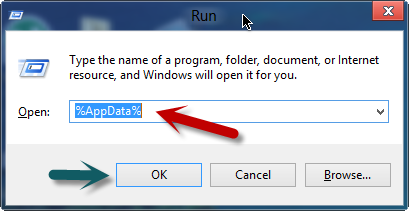 This can be done by pressing Win+R key from anywhere in Windows 8, Paste %AppData% in the Run box and select OK.
Next, go to the shortcut of the app that you want to put in the Startup folder. 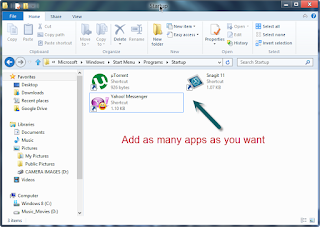 Hold the right click of the mouse and drag the shortcut of that application to the Startup folder. You will be prompted with a few options. Select Create Shortcuts here.